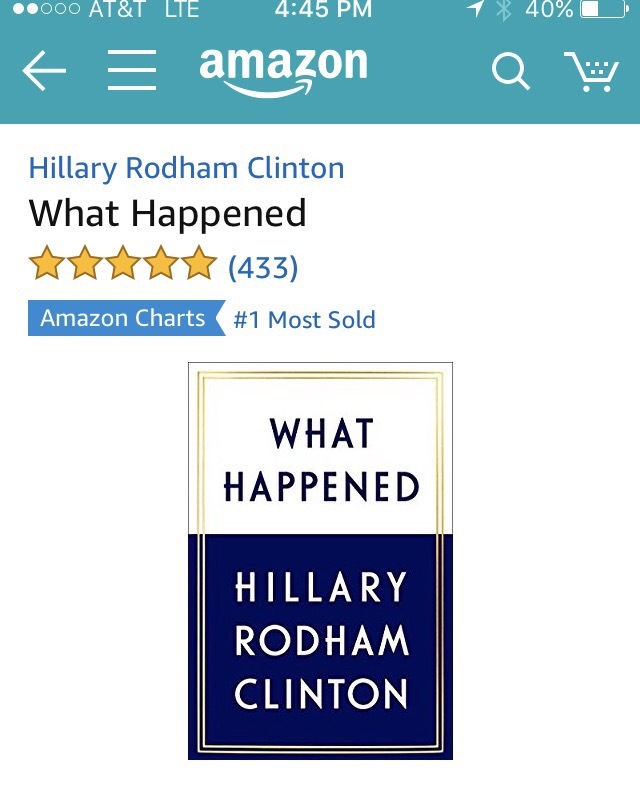 Hillary Clinton’s latest book, “What Happened” which is a personal account to the 2016 election cycle was released yesterday, and Amazon had been aggressively removing negative reviews. At 1:14 eastern time today, I happened to check out the reviews on Amazon.com and noticed that it currently had 1857 reviews and had 3 stars. 29% of the reviews were 1 star. Just 1 hour later, I checked it again, and the total reviews were down to only 707, and now had a 4 star rating. That’s a removal of 1150 reviews. By 4:45, total reviews were at 433, and had gone up to a 5 star rating. The 1 star ratings were down to only 1% of the ratings. 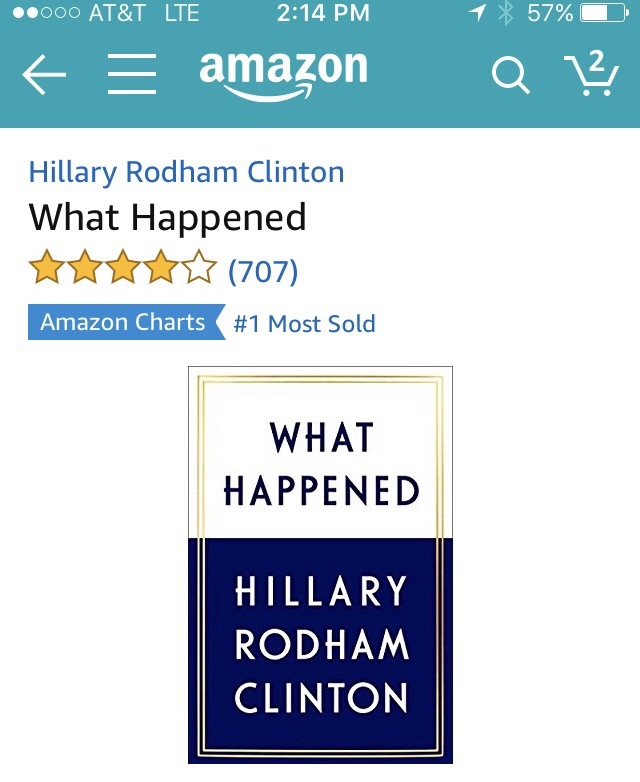 Amazon is claiming that they are only posting reviews from Verified Purchasers, which in my knowledge, they have never done before for any item. Make up your own mind as to what is happening and why it’s happening. This entry was posted in Politics and tagged Amazon, hillary clinton, What Happened. Bookmark the permalink.